Here I will share the circuit TDA 2030 well as the wiring diagram for assembling power amplifier with tone control and module mp3 player. Below the wiring diagram for assembling circuit. 2. 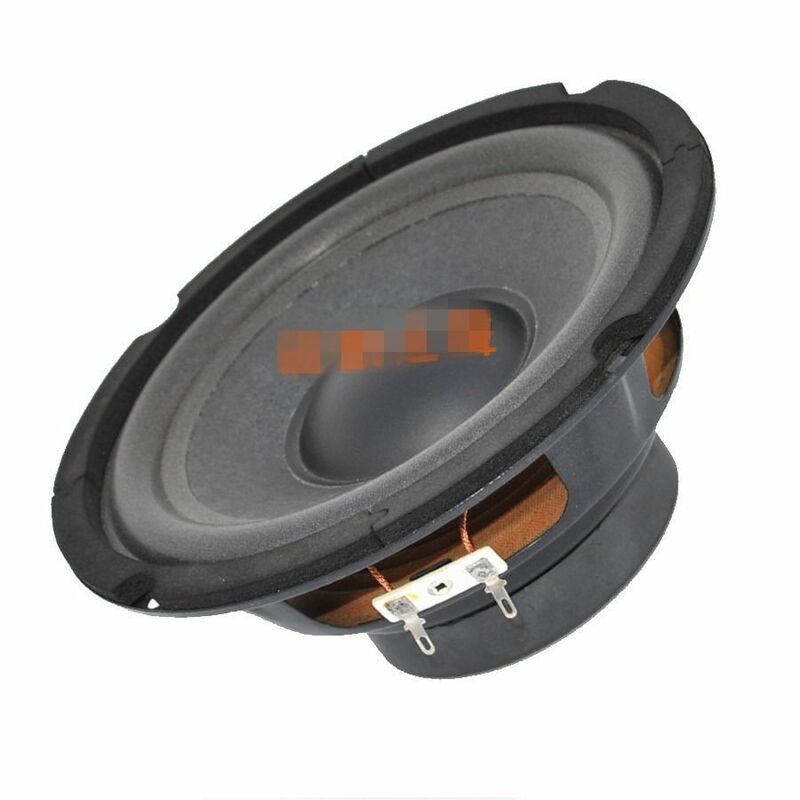 Two Tone Control circuit mono + subwoofer filter. 3. 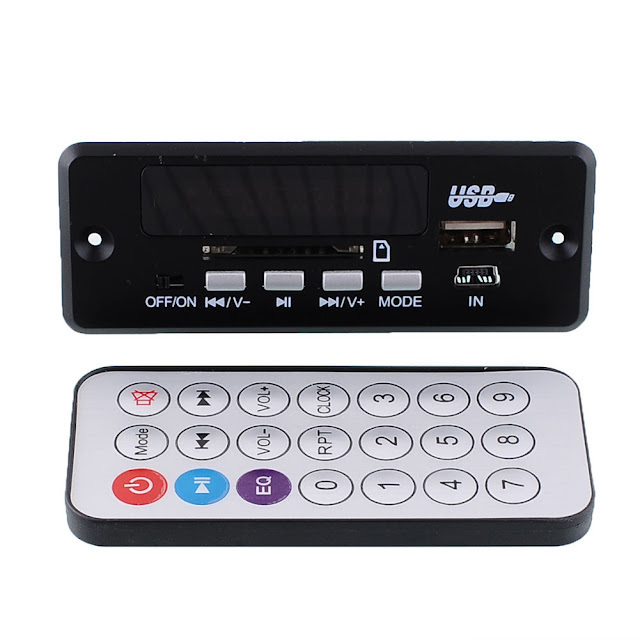 KIT mp3 / player module. 4. 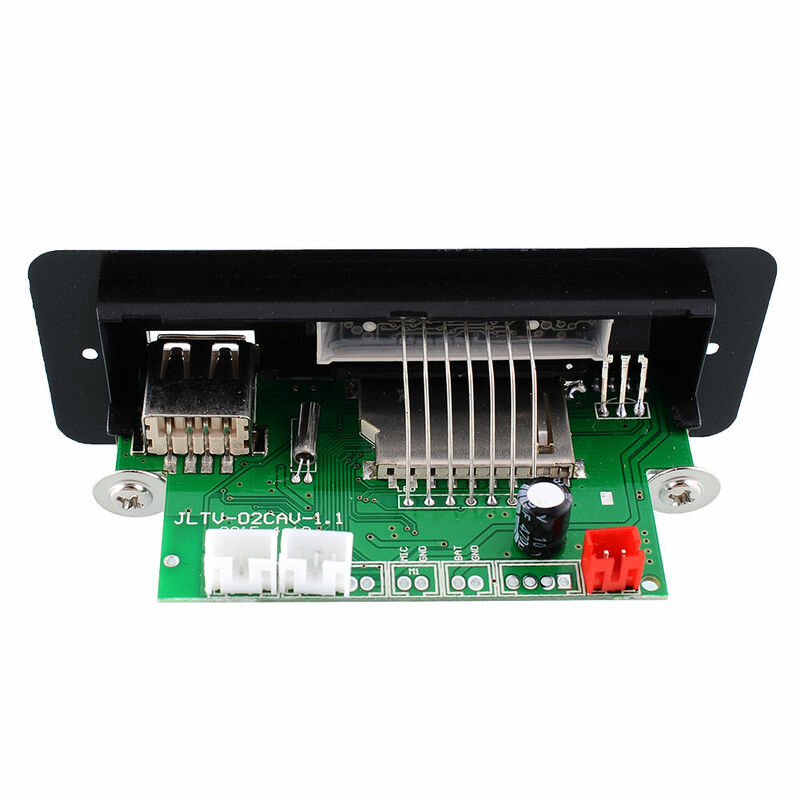 Circuit power supply and stabilizer 5v. First, Assemble stereo amplifier and tone control + subwoofer filter. After the circuit been finished. Then Assemble power supply circuit for supply the power amplifier , tone control and module mp3 player. A step-down transformer uses transformer 5A CT, with input 220v-240v AC primary and secondary output 20v AC CT. The output transformer voltage is rectified using a diode bridge 10Ampere and given 4700uF 35V capacitor using 6x. For a supply voltage module mp3 player using stabilized 5V voltage input using IC 7805 + and - taken from the voltage to the power amps. and output the voltage to 5v. For IC 7805 do not forget to add a heatsink. After the power supply circuit is already finished and the output voltage to Amplifier and tone control 20VDC asymmetric ready for use. 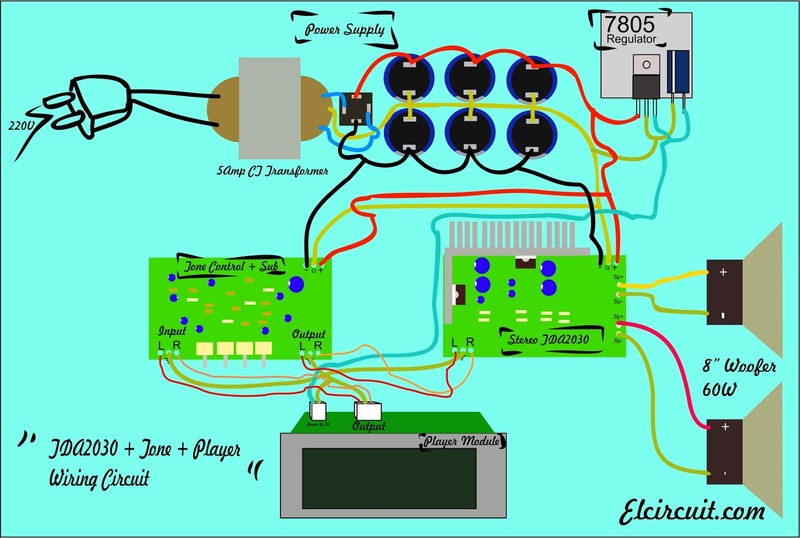 Connect to a power amplifier and tone control. And a stabilized voltage 5V to the module mp3 for schemes input output audio signal. The first one you connect that from the output module player / mp3 player output L / R input to L / R tone control. It then outputs the L / R tone control to input Power Amplifier. Done for the connection of the audio signal. Then, for output power amplifier connect with 8 inch speaker module to the player.